Tomorrow morning Boulmer Lifeboat will be visiting Hipsburn School near Alnmouth to show our rescue boat to the children and give a small talk about what we do. This entry was posted in News on May 16, 2016 by Chris Chapman. 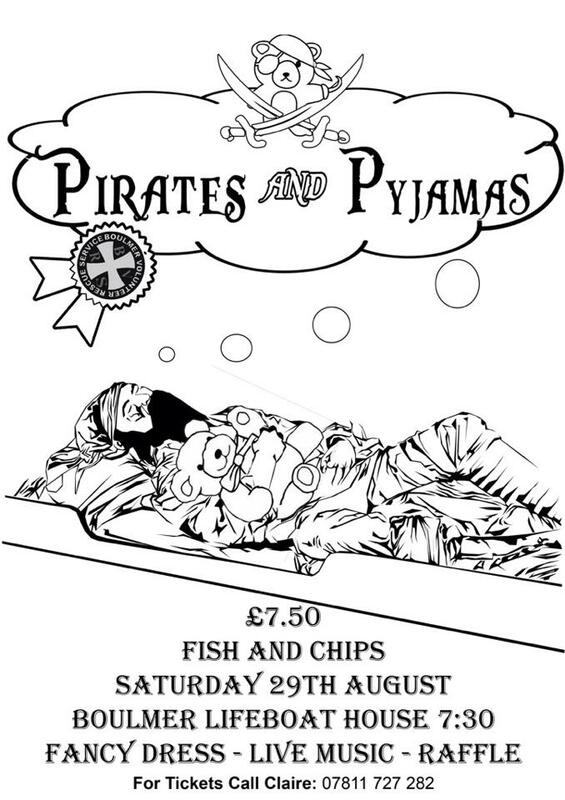 You are all invited to an evening of Pirates & Vikings at Boulmer Lifeboat Station on 27/08/16 @ 1930 ! Tickets are £10.00 & includes – Entry , Curry & a night of dancing. Also another exciting raffle and a fully stocked licensed bar . This entry was posted in Events, News on May 11, 2016 by Chris Chapman. Happy New Year from all of us at the BVRS ! This entry was posted in News on January 21, 2016 by Chris Chapman. This is a fantastic opportunity to help the less fortunate in our area and has proven highly successful in previous years. Hardy Swimmers will plunge into the icy cold North Sea at Boulmer and ask that folk come along to support with an old winter coat or jumper to donate to the homeless. Crisis collect the clothing and distribute it to the poorest and most needy this xmas. Everyone’s a winner – you get to create a space in your closet for your new Xmas presents knowing that you’ve given to someone less fortunate Boulmer LifeBoat​ are kindly opening up a room in the lifeboat station where we can go after the swim for soup, a roll, tea & cake. This entry was posted in Events, News on September 30, 2015 by Chris Chapman. Thank you to all that attended the AGM 2015 last night. This entry was posted in News on September 30, 2015 by Chris Chapman. 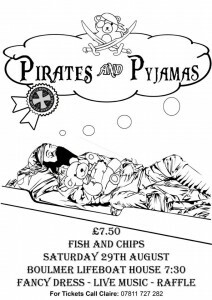 It’s that time of year again….BVRS Pirate and………Pyjamas theme this time. Please come along and join us for a fantastic evening. This entry was posted in Events, News on August 5, 2015 by Chris Chapman. This entry was posted in Events, News on June 9, 2015 by Chris Chapman. 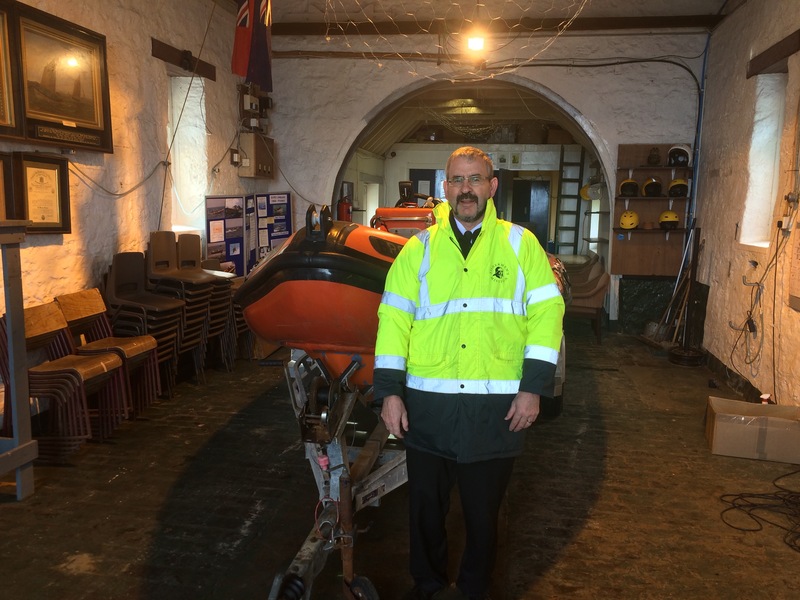 Very glad to welcome Peter Dade from the Fishermans Mission today at the station. This entry was posted in News on April 1, 2015 by Chris Chapman. Filipino Fishermen, Michael and Jonito: lost at Sea . Filipino Fishermen, Romulo and Nixon miraculously survived . Three lives were lost out of a crew of Five from the Fishing Vessel “Ocean Way” FR 349 when she sunk on 2nd November 2014, 120 miles north of North Shields. 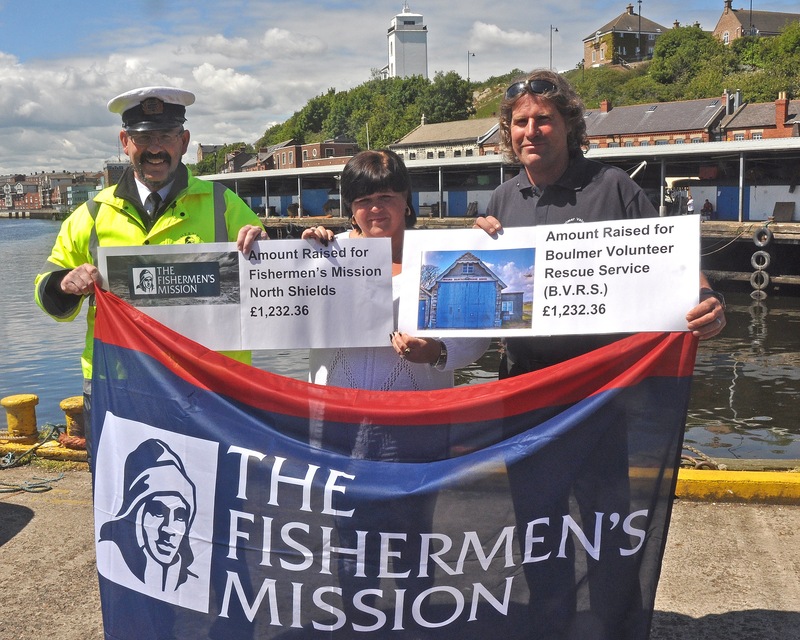 The Fishermen’s Mission in North Shields was heavily involved, as was the Fishermen’s Mission in Fraserburgh, from the start to the finish, dealing with the incident and offering welfare, pastoral and financial help and support throughout. Now to celebrate James’s Birthday on 21 May 2015, Julie is holding a fundraising event on May 22nd. Click here to find out more. The proceeds of this are to go to the Fishermen’s Mission North Shields and the Boulmer Volunteer Rescue Service (BVRS), nominated charity of RAF SAR Boulmer, who were involved in Ocean Way Incident. You can DONATE now to BVRS or Fishermen’s Mission. This entry was posted in News on February 27, 2015 by Chris Chapman. Join our crew man Wim Stevenson as he and his crew ROW round the UK, raising money for charity as they go! This entry was posted in News on February 26, 2015 by Chris Chapman.